It's always sweet relief when your children play well together. 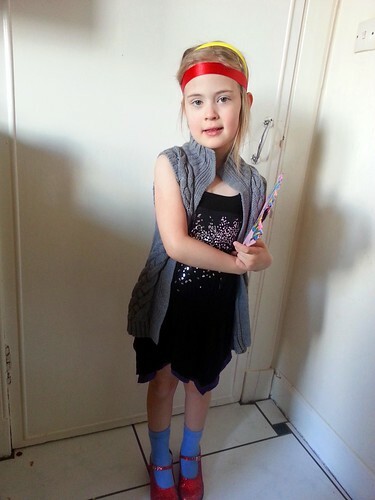 We've just started the Easter holidays - two weeks off of school - and this morning was a lovely start. It was my lie-in morning (Scott got yesterday's as I was working), and what a lovely feeling to wake up peacefully - not to the sounds of fighting kids. I woke up and went to the kitchen to make myself some steak slice and potato scone for breakfast (mmm). The girls had cleaned their room according to Daddy's instruction (Fifi is actually very good at room cleaning... Lolly not so much), and then had set out a blanket for a 'picnic'. They had a few toy food items out and came through the kitchen for a bit of toast. I will be honest here and say mornings are not my best times, and often I'm not very patient. 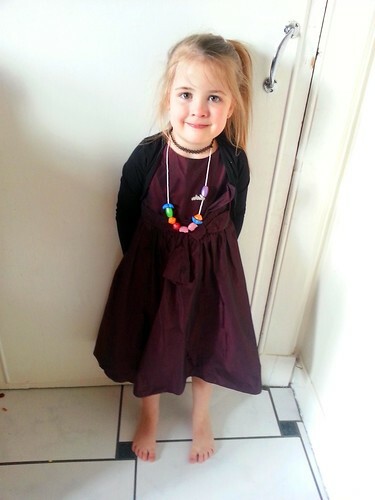 But the kids' wonderful morning behaviour had me in a great mood. 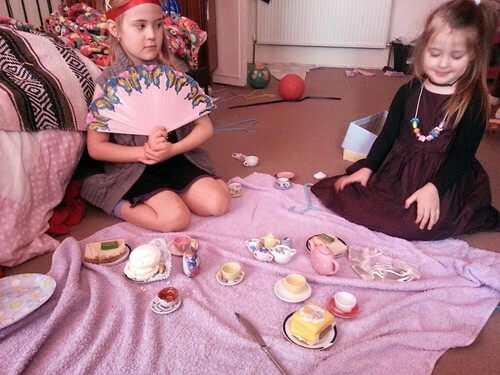 I looked at my beautiful daughters (who had dressed themselves up for the occasion) and asked if they'd like a real fairy picnic. I got down their very special ceramic tea set that I keep out of reach so it doesn't get broken and brought the pieces to the kitchen. The girls stayed in their room to not spoil the surprise. I made them toast with their own little butters, filled the tea pots with juice and the sugar bowls with chocolate-covered raisin mini eggs and jelly babies, and arranged two Aulds cakes on mini plates. They were so sweet! 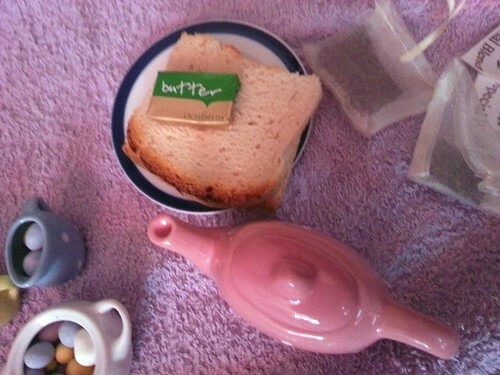 The girls have been having a great time in their room playing Fairy Tea Party. And I had a great time eating my breakfast in peace.